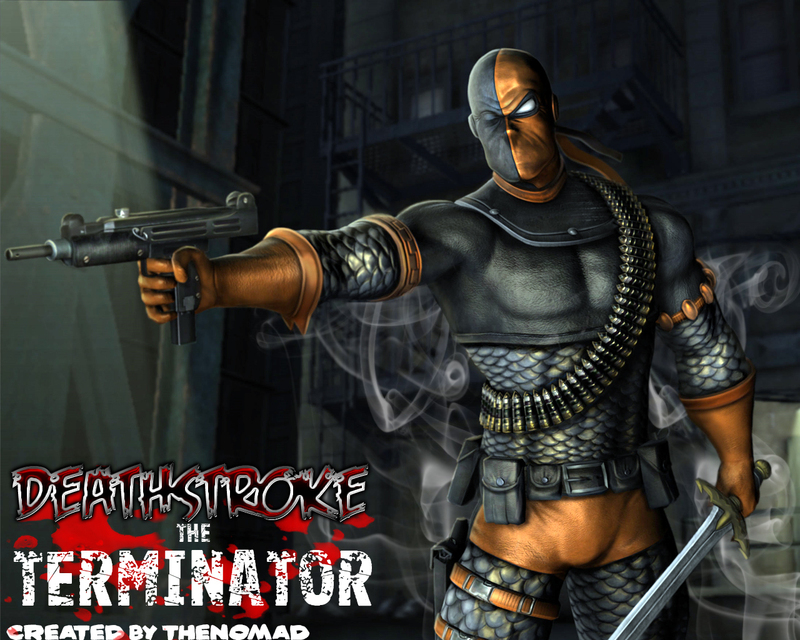 Deathstroke ( Slade ). . HD Wallpaper and background images in the Deathstroke club tagged: slade deathstroke terminator dc comics. This Deathstroke wallpaper contains 胸当て, 庇護, egis, 胸板, アルギス, エジス, and イージス. There might also be 装甲板, 装甲メッキ, プレートアーマー, 板の装甲, 装甲めっき, プレートメイル, ブリガンダイン, ブリガンディン, ブリガン ダイン, フォールド, ファウルド, and 囲い.